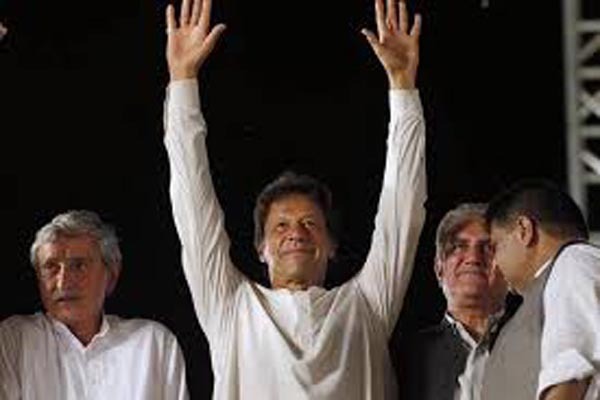 Islamabad(PTI): Imran Khan will be sworn in as Pakistan’s new Prime Minister before the country’s independence day on August 14, his party has announced as it is trying to reach out to smaller parties and independents to form the next government. PTI leader Naeenul Haq told media last night that consultations are on to complete the number game. “We have done our homework and he will take oath as Prime Minister before August 14, Haq said. According to the complete preliminary results announced by the ECP, the PTI has obtained 115 general seats 12 short of a simple majority while the PML-N and PPP have won 64 and 43 seats, respectively. Pakistan’s two major parties — the Pakistan Peoples Party (PPP) and the Pakistan Muslim League-Nawaz (PML-N) are expected to meet in a couple of days to devise a joint strategy in a bid to give a tough time to the PTI in parliament, the Dawn reported. The PTI leaders who have won more than one seat will have to vacate additional seats as the law allows an individual to retain only one seat. the party is still short of numbers to form its government on its own.